Celina is an attractive, blushed pear which is harvested early on in the season. The fruit is medium-sized with an intense red blush on half of the green fruit, giving it a stunning appearance. 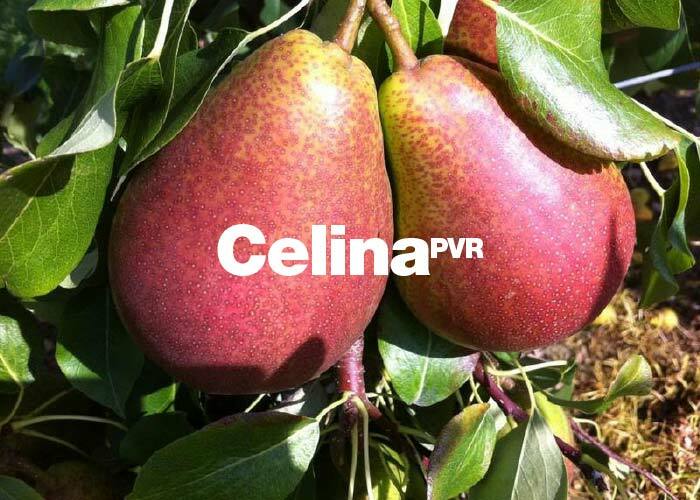 Celina’s taste and smooth texture are highly appreciated by consumers – Celina is the rising star of the blushed pear segment.